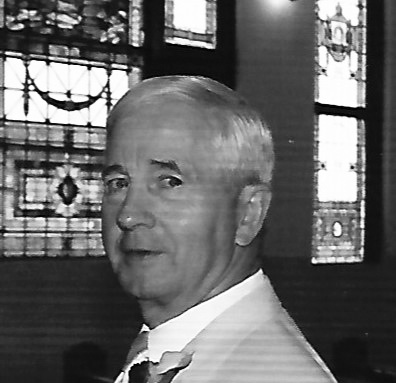 Donald Ross Kramer, 76, of Church Street in Dunnstown passed away Saturday, April 13, 2019 in Susque-View Home. Born March 2, 1943 in Lock Haven, he was the son of Ernest W. and Charlotte Miller Kramer. Don became active in the Flemington Church of Christ at a young age as a Sunday School Teacher. He served the Lord in various other positions throughout his life including: Deacon, Trustee, and Board Member. Don also helped to plan, cook, and serve many church meals including Easter breakfasts, Mothers’ Day banquets, and the annual Thanksgiving Dinner for Flemington residents. He also assisted in the construction of the new church that stands on Canal Street. Don graduated from Lock Haven High School in 1961. He was a multi-sport athlete, participating in track in the pole vault, wrestling, Legion baseball, and football. He played halfback and kicked extra points for the undefeated Bobcat football team of 1960, under the direction of Don Malinak. Recently he served on the committee to raise the funds for the naming rights of the football stadium in honor of Coach Malinak. Since graduation, he continued to remain in close contact with many of his classmates through reunions and an annual picnic. Upon graduation, Don enlisted in the Army and served in active duty in Turkey as a communications specialist. Don briefly attended Lock Haven State College, then he was hired as traffic supervisor at Hammermill Paper Company. He oversaw shipping of inbound raw materials and outbound paper products for 34 years. Don also served as a county representative on the SEDA-COG Joint Rail Authority Board for 27 years. On Nov. 22, 1969, Don married the former Frances L. Dale. Don served as manager for the Powers’ Trucking Little League Team of which both of his sons played. He followed each son through baseball and football careers, serving as spectator and often times camera man. Don was a man of great sacrifice for the good of others all the while serving the Lord. He donated countless gallons of blood to the Red Cross during his life. Don was a founding member of the Green Acres Sportsmen’s Club in Rosecrans, where he hunted, cut firewood, and enjoyed the beauty of nature for years. Don had a love for gardening and landscaping. Don and Franny maintained the ground at their Church Street residence with the fine touch. He took a great deal of pride in his annual vegetable garden and would share the harvest with others. He was always there to lend a hand to those in need. Don enjoyed spending the time after retirement on day trips to antique stores and shops with his wife. The couple also worked together on the construction of furniture and other small woodworking projects that adorn their residence. They also enjoyed visiting family and friends while camping. He was an avid Penn State Football Fan, and attended many games with his sons over the years. Surviving at home is his wife, Frances. Also surviving are his two sons, Brian D. (Amy) Kramer of Dunnstown and Gregory A. (Linda Ruggiers) Kramer of Lock Haven; grandchildren, Violet E. and Nolan D. Kramer; two sisters, Lavon Kleckner of Howard and Judy Tressler of Flemington; three brothers: Frank (Janet) Kramer of North Port, Fl., Wayne (Debbie) Kramer of Pooler, Ga., and Bill (Esther) Kramer of Flemington; along with many nieces and nephews. A celebration of Don’s life will be held at the Flemington First Church of Christ, 714 Canal St., Mill Hall on Sunday, April 28, 2019 at 4 p.m.
Friends and family will be received at the church from 3 p.m. until the time of the service. In lieu of flowers, the family requests contributions be made to either the Alzheimer’s Association or the Flemington First Church of Christ.